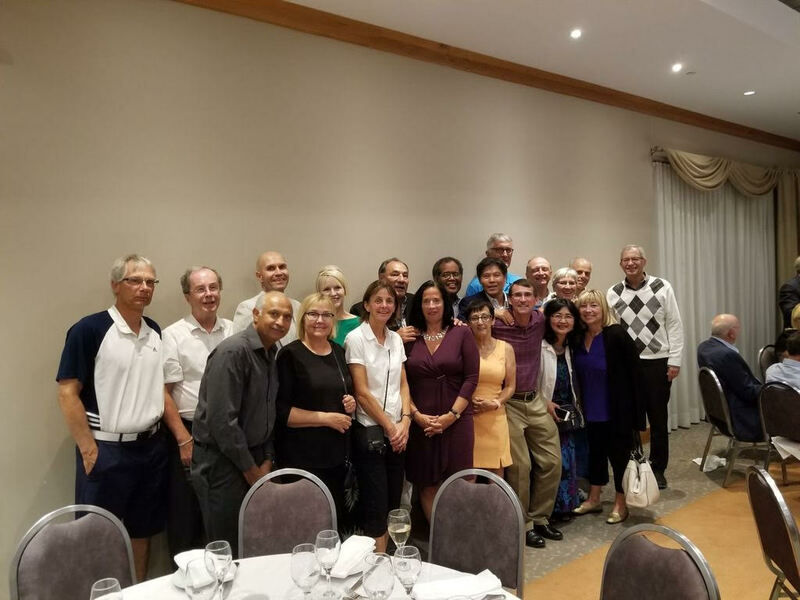 Manitoba was represented by 17 players at the Steve Stevens Senior National Tennis Championships, August 19-26 in Montreal: Marc Lloyd, Tony Weekes, Chris Shay, Tom Brown, Danielle Parent, Archie Chawla, Pat Chawla, Peter Somers, Mary Kellner-Somers, Hiroko Nameishi, Dave Wilken, Darrel Bushuk, Chris Wiebe, Glen Ziprick, Susan Blumenschein, Dong Won Kang and Tom Hiebert. Bushuk/Kang reached the men’s doubles 60 final, losing to the Quebec team of Richard Viau/Cary Wilson 6-3, 6-1. Parent advanced to the consolation final in women’s singles 55 before falling 6-3, 6-4 to Janice Hebert of Ontario. In women’s doubles 55, Chawla/Parent teamed up to reach the semifinals.